Having busted some of the myths of travelling to Bhutan, we will be sharing more of our trip experiences over the next few weeks. This post will provide a quick summary of the interesting experiences we had over this 5 Day 4 Night magical Bhutan experience. The journey from Singapore started with a flight to Bangkok where we stayed the night at Novotel Suvarnabhumi Airport hotel for next morning’s 8.45am flight to Paro, Bhutan. The check-in counter at Suvarnabhumi Airport opens at 6.30am so be there early if you want to select your preferred seats – DrukAir does not offer any online check-in facilities so seats are on a first come first served basis. Bring along your Bhutan visa as it will be required before they even process your check-in to the flight. Request for a seat on the left side of the plane for your flight into Paro if you want to get a great view of the Himalayan mountain ranges. 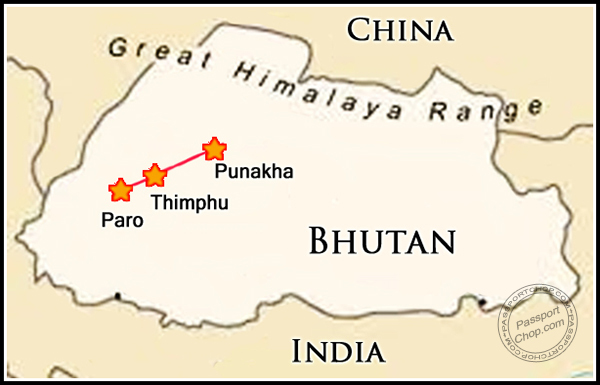 Upon arrival at Paro, we then embarked on an hour-long drive to Bhutan’s capital – Thimpu. The next few days of our tour were then filled with visits to Dzongs, experiencing local culture and life as well as long drives to Punakha valley. Of all the tours we had experienced around the world, the tour guide service we experienced in Bhutan is definitely the best! DrukAsia had arranged Lhawang Dorji and Tenzing to be our guide and driver respectively for this 5-day trip (see picture – third from left is Lhawang and to his left is Tenzing). It is the attention paid to the small details that really impressed us. Let’s start with our driver, Tenzing. He is a quiet guy who is serious and conscientious in his work. He ensures that each day, before we start our tour, the van is in its best conditions – it doesn’t matter if we had did a muddy hike the previous day and left the vehicle in a mess with mud, grass on the floor, the next day the condition of the vehicle is as new as when we first started out this tour. On days of long drives e.g. the 4-hour drive from Thimpu to Punakha valley, pillows will be in place at our seats in case we want to doze off during the journey. And most important of all, his years of experience in navigating the long winding roads of Bhutan had kept us safe throughout the entire trip. Our guide, Lhawang is very knowledgeable in all matters to do with Bhutan – ask him about the concept of Gross National Happiness in Bhutan and he would be more than happy to discuss it with you. Any facts you want to know on Bhutan or just about anything about Bhutan, he should be able to help you with it and if he can’t, he would Google it on the road (using his mobile broadband) to provide you with the answer! He is also incredibly fit and knows the ground well i.e. despite muddy trails or steep slopes, he is able to navigate them with no difficulty and even help you with it. He shared with us a story where he had to carry an elderly lady tourist (who was in his tour group) on his back down the road from the Tiger’s Nest monastery! Thankfully, we did not need this service during our exploration of the Tiger’s Nest. Because of his fitness, you do have to manage your own expectations when he say certain hike takes a few minutes – simple double whatever he says and that will be the exact time needed to reach that destination. 🙂 For travel on vehicle, there is no need to double the time as his estimation are quite accurate. OCBC Cashflo is designed for people who are looking to manage their cash flow smartly and pay for expenditures in instalments. OCBC Cashflo customers can break expensive holidays into 3 or 6 months instalments without any interests. That way, it helps to manage their customers to manage cash flow better and smarter. Furthermore, you can earn rebates of up to 1% to offset your bill (treat it as a 1% discount for your Bhutan holiday! – potential saving of at least S$60 just by using OCBC Cashflo). 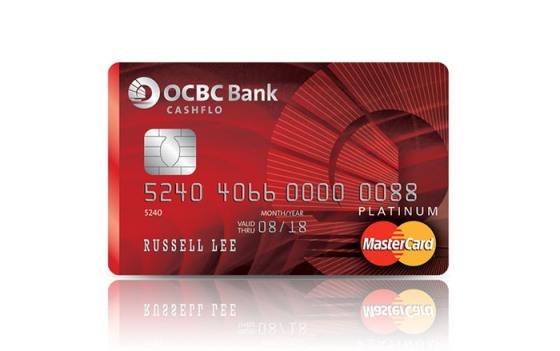 Plus you can enjoy movie discounts, dining and motoring privileges when you use OCBC Cashflo Mastercard! 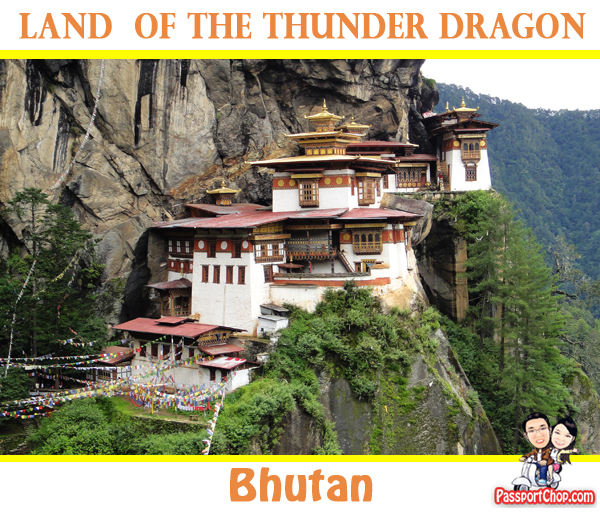 To book a trip, contact Bhutan-travel specialist Druk Asia (www.drukasia.com; +65 6 338 9909; email [email protected]). I would be visiting Bhutan in October so your posts are certainly very informative to me 🙂 May I know what sort of currency was used in Bhutan? You mentioned changing money in USD, is it a currency into USD or USD changing to Bhutanese currency (whatever that is). Are Indian rupees accepted in Bhutan? To buy stuff from Bhutanese shops, you should use Bhutanese ngultrum. For the more touristy areas and shops, they accept USD. At the airport money exchanger, they accept USD and even Singapore dollars for changing into Bhutanese ngultrum. Indian rupees are accepted but only the smaller notes. So for convenience, I suggest you change a small sum of money into Bhutanese ngultrum. R the stuff over there expensive? What can i buy there? you can buy Bhutanese souvenirs e.g. prayer wheels, textiles and wooden phallus (more on this later during our Chimmi Lahkang post). most food products are imported from neighboring countries e.g. India, Nepal as well as Thailand. Prices are reasonable. Bhutan has cool tourist spots. I knew that all along. Well, we have lots in Asia. No wonder most of the featured spots in seven wonders were taken in Asia. That’s because the continent is really rich in nature. I want to ask from your notes above i see you mention luxurios stay in Uma Paro. Is the stay in Uma Paro is included in basic tourist packages or you need to top up some more for staying there ? No its not included in basic tourist package. You will need to top up to stay here. Thank you for taking time to write up on your Bhutan trip. The articles have been useful for my upcoming trip to Bhutan (also with DrukAsia). Will there be any more update? I see there are more articles to be lined up from your article above. Looking forward to see them! 🙂 Many thanks! Yes there will be more articles about Bhutan coming up starting today. Sorry for the lack of updates as we have been busy with our wedding and honeymoon prep 🙂 Hope you enjoy your trip in Bhutan. Wonderful goods of your stuff, man. I have study your stuff in front of and you are equally well amazing. I enjoy what youve got the following, adore what you are declaring and exactly how a person say this. You make this enjoyable and you nonetheless manage to help to keep it wise. We cant wait to undergo additional from you. That is really an amazing weblog. Great subject. I have discovered a good deal interesting things right here. Carry on. Very good topic. I have discovered a great deal new things below. Continue. We dont ordinarily remark but I have to say regards for that post on this one. Keep up the superb work , I read few posts on this website and I believe that your blog is very interesting and contains lots of wonderful information. This is a classic truly excellent review for me, should admit that you are between your best bloggers I actually saw.Thanks for writing this educational article. Only wanna comment that you have a very nice internet site , I love the design and style it actually stands out. I simply want to mention I’m newbie to blogs and truly enjoyed this blog. Likely I’m going to bookmark your blog post . You absolutely come with very good writings. Thanks for revealing your blog site. I must say your own website is actually outstanding! I will undoubtedly appear back again once again! Great article! I loved the insight and advice given. In addition, your writing style is very fun to read. If you have enough time kindly explore my new blog and let me know what you think. hanks For Giving This Info. I see it beneficial and it adds to my appreciation, Thanks again for giving this info and look forward to your later posts. I simply want to say I’m newbie to blogs and definitely savored this web site. Probably I’m want to bookmark your site . You surely come with fabulous articles. With thanks for sharing with us your web site. I just want to mention I’m newbie to weblog and truly enjoyed your web blog. More than likely I’m want to bookmark your website . You surely come with beneficial posts. Cheers for revealing your blog. I love you stories and i hope you are able to keep them coming. Honestly it is tough to find an fascinating blog these days. I just want to say I am just all new to blogging and site-building and seriously enjoyed your web page. Very likely I’m planning to bookmark your site . You actually have wonderful stories. Kudos for sharing with us your blog. Hi there, I’m heading to Bhutan in 15 days. Would like to ask where did you exchange your Bhutanese ngultrum from? I have problem giving money exchanger in Singapore. Hi Daphne – you cant exchange for Bhutan ngultrum here in Singapore. I suggest you bring US dollars or Euros to exchange for money at Bhutan Paro airport (change your money there as it will be quite difficult to find money exchangers in the city).